Follow Me on Twitter Follow Me on Facebook! 2014 is end soon, do you all has complete your mission for 2014? Since I am student, so my mission of course be graduate successfully and I have to announce that: I am "unofficial graduate" and finish studying my course! Honestly I enjoy my holiday everyday after exam is over. I thought I will be vagrant, practice sleep and eat as my activity but it's not! LOL! Alright, I had wake up early morning today just because of "them". 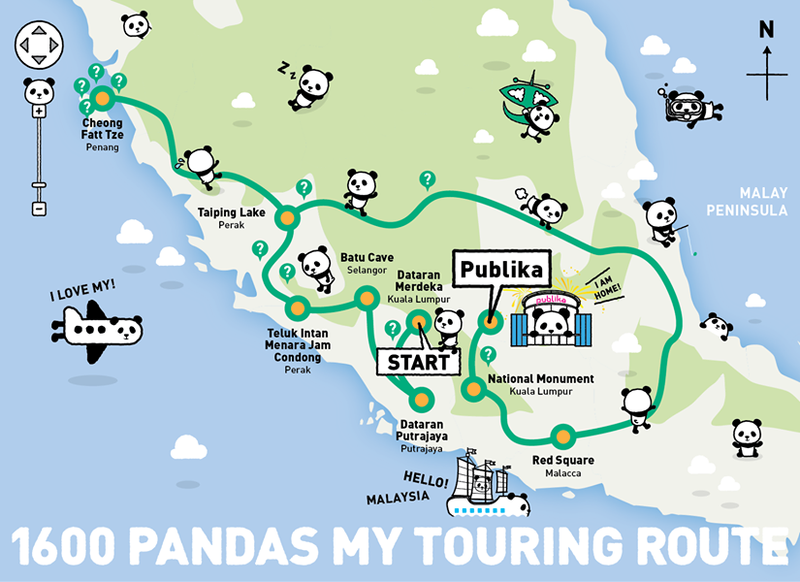 I gonna visit the pandas since I had miss to meet them on the first stop at Dataran Merdeka (Independence Square). I was start off from my house happily and go for them at Batu Caves. 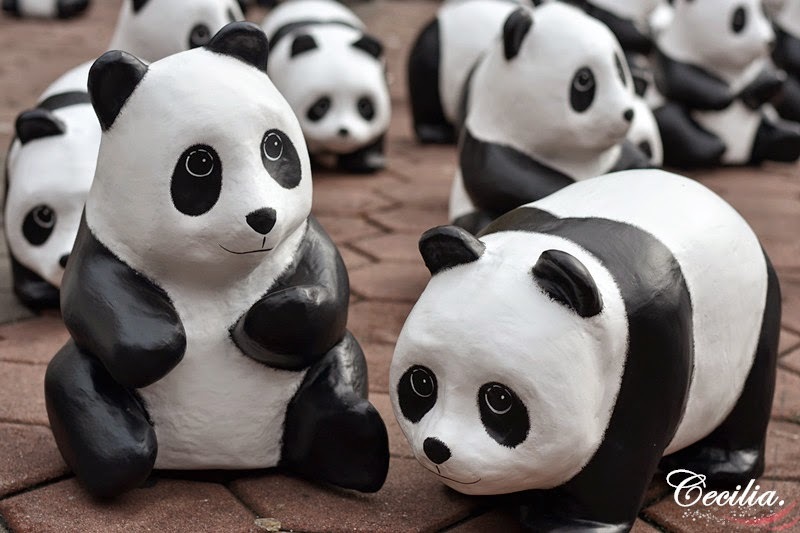 Paulo Grangeon, the 'Father' of 1600 paper-mache pandas who designed all those adorable pandas in various size and crafted in the form of papier-mache using recycled material. 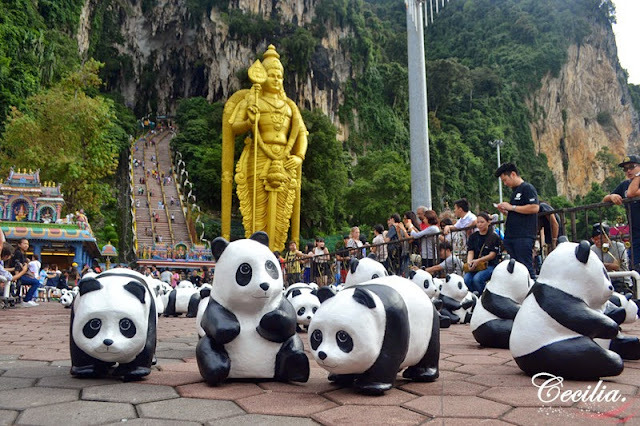 He was engaged in creation more than 30 years and his work is been exhibited in many countries. Through the invitation from WWF, Paulo is start the world tour of 1600 Panda conservation exhibition. 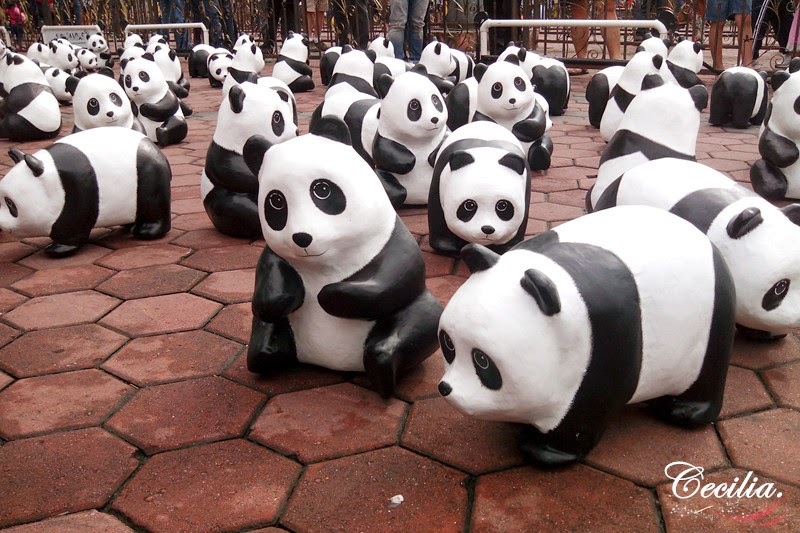 These 1600 pandas have display more than 100 attraction around the world include France, Germany, Italy, Netherland, Switzerland, Taiwan and Hong Kong. While Malaysia is the third exhibition station in Asia country. 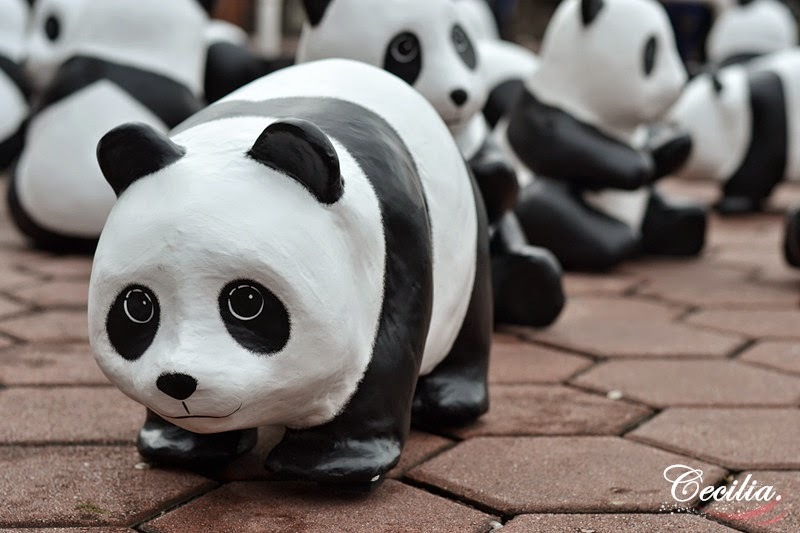 These pandas are on a special mission in promote conservation and reinforce the importance of building sustainable futher in which humans live in harmony with nature. 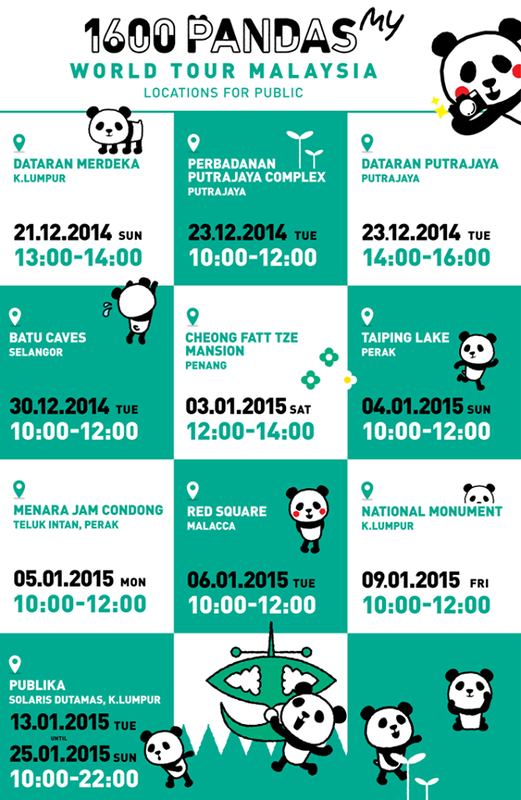 They will stop over 15 iconic landmarks in Malaysia for a month until 25th January 2015. 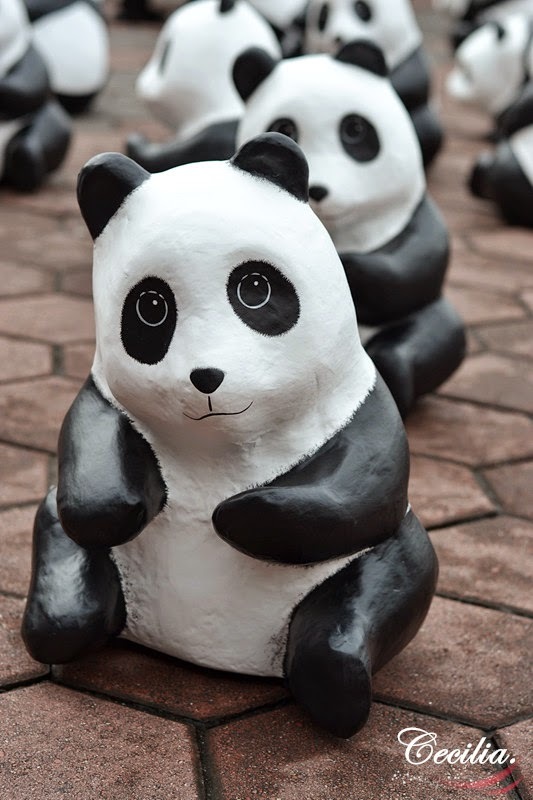 This is to create public awareness and people would spend more time knowing the ideas behind environmental preservation. 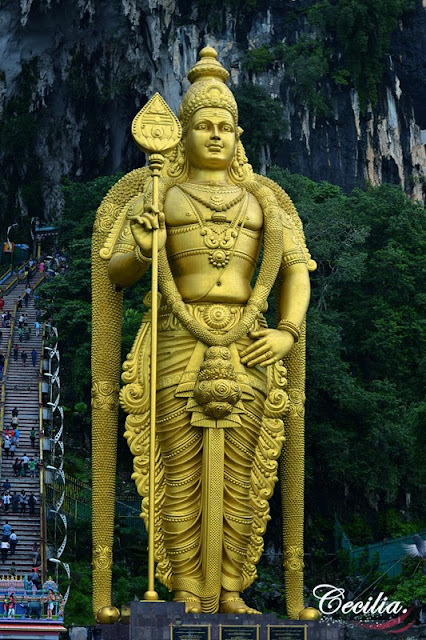 Batu Caves is one of the iconic landmarks in Selangor and also the 4th location for public. Although the exhibition start from 10am, however, it was start being crowded even I reached early. 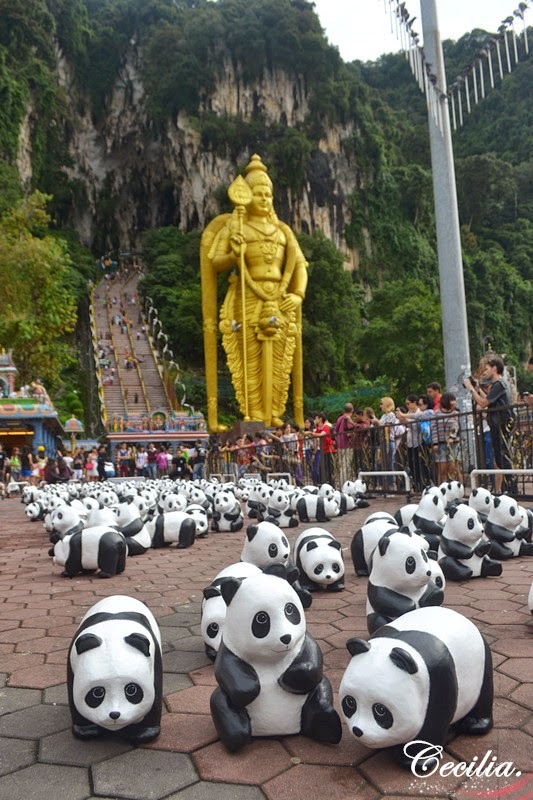 There only 200 pandas are stop at the Batu Caves and everyone is very excited to taking photo, of course selfie with the pandas! The pandas will appear in other landmarks soon such as Cheong Fatt Tze Mansion at Penang; Teluk Intan Menara Jam Cendong and Taiping lake at Perak; Red Square at Malacca; National Monument at Kuala Lumpur and the tour will end at Publika, Solaris Dutamas, Kuala Lumpur. Refer the schedule below for the tour and exhibition of 1600 pandas. I will go meet them again at Publika. See you there! Go like 1600 Pandas Facebook Page for more information and latest news! Any comments? I would love to hear from you! Work as Food + Lifestyle Blogger in Malaysia. All write up is based on true story. [CLOSED DOWN] The Ballroom Grand Opening @ Nu Sentral, Kuala Lumpur. Please note that all the opinions are expressed by my own. All material on this website may not be used, reprinted, modified or published without my written consent. If you are interested in using or re-posting from my blog, please feel free to contact me.